You will provide us with your flight details so that we can take note of your arrival and departure dates and times. You will arrive at Juba International Airport, in the capital of the world’s youngest nation, South Sudan. One or more guides will meet you at the Airport and transfer you to Royal Palace Hotel where you will spend the night. Depending on your arrival time, we will take a short trek to South Sudan’s biggest market, Konyo Konyo. 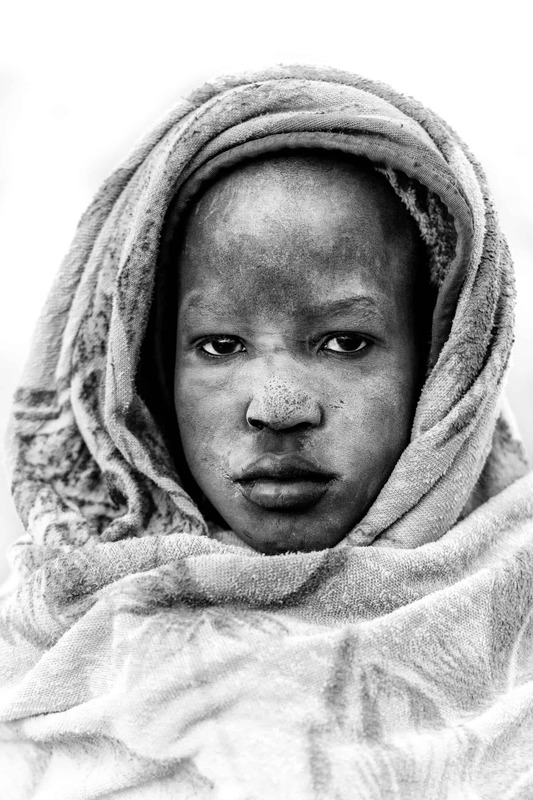 While in the market, you will have an overview of South Sudan’s diverse communities portrayed in their style of dressing and facial or body scarifications. Dinner at Da Vinci Lodge where you will have a spectacular view of the Juba Bridge majestically standing over the Nile River. Accommodation at Royal Palace Hotel. No cameras to be used, smartphones could be used with utmost caution. Breakfast at Royal Palace Hotel. After breakfast we will depart for Terekeka, four hours’ drive from Juba. We take lunch at a local Restaurant called Naivasha. Naivasha is a name of a lake and town in Kenya but it has historical ties to South Sudan as it was the town where peace talks that culminated in the Comprehensive Peace agreement between the government of Sudan and rebels (SPLM/A). We then proceed to introduce ourselves to state government authorities (although they will be informed in advance that we will be coming ). We then drive to Mundari’s Khartoum cattle camp, where we will camp for two days. Evenings and mornings will be ideal for photography especially when the cattle return from grazing. Dinner at Khartoum cattle camp. Accommodation: tents close the Nile and cattle camp. Dawn photos/videos of the cattle camp and how the Mundari wake up with their Ankole Watusi cattle. Breakfast. Leaving for Mundari Nyikabor village at 11 am. Lunch at Nyikabor village. Evening walk and photoshoot in the cattle camp. The cattle camp, seldom visited by outsiders, is quite simply incredible. I saw Sebastiao Salgado’s photo of these camps years ago and there is no change that I could see. The Mundari are friendly and enjoy being photographed. The dust and smoke intermingle to create and inimitable atmosphere. We arrived in the late afternoon when the light was soft and warm with long shadows. The tribe have all their wealth in their cattle and there are thousands of them. When young men of the tribe get married the dowry may be as much as 40 cattle. They cover themselves in the ash from their fires to protect against insects. At night they sleep with their cattle to protect them and they carry Kalashnikovs to do so. Cattle rustling is commonplace and is a cause of conflict. The Ankole Watusi cattle have the largest horns (perhaps a metre long in some cases) I have ever seen and the biggest of the cattle may be worth $500. During the day the cattle disperse from the banks of the Nile into the long grasses of the alluvial floodplain. They return at dusk instinctively. Breakfast. Morning photoshoot at dawn and then Leaving for Terekeka town. Lunch at Naivasha restaurant in Terekeka. Drive to Mingkaman to take taking a boat to cross river Nile to Bor Dinka. Check-in at Park Palace Hotel. Dinner at Park Palace Hotel. Breakfast at Park palace hotel. Then one hour's drive South to a Dinka cattle camp. Lunch at the cattle camp. Tour of the camp, evening photos especially at the time the Dinka receive their cattle from grazing. Dinner at the cattle camp. Shooting at dawn and dusk is perfect as all the cattle are in place. The more you see, the more you realise that there is an inextricable bond between the tribe and their cattle. The way they lead them, rub ash into their skins, attend to their needs, use their milk, dung and urine. It is a symbiotic relationship where there is an understanding of the cattle which goes beyond normal animal husbandry. They take pride in their animals and the whole community of man and beast is interconnected. I have never seen anything like it. On the previous evening the air was filled with smoke from the dung and kindle wood fires to keep insects at bay. The dust is used to help dry the dung which is laboriously collected and piled in the mornings. It is then dried as fuel. 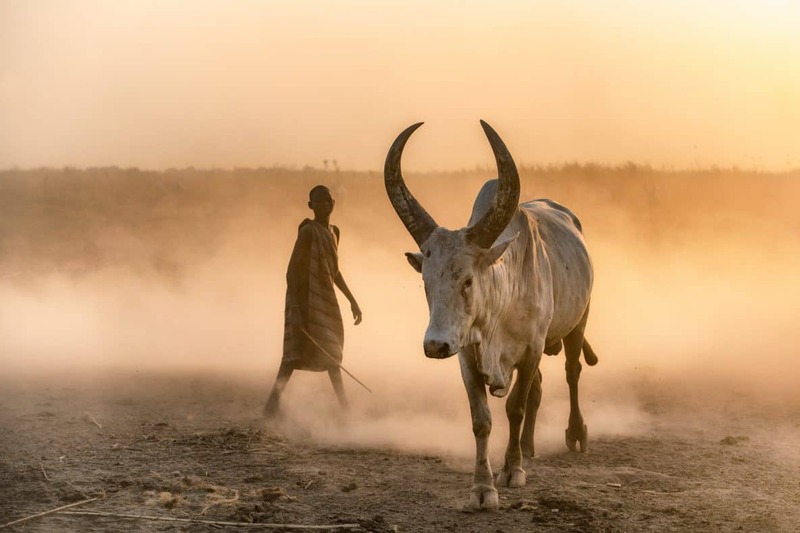 As the sun sets in African style the light, smoke and dust create an ethereal atmosphere which makes it appear that the Mundari and their cattle fade into a mist. An ancient mist, trapped in time, where tribal traits and traditions are perpetuated in the twenty first century. 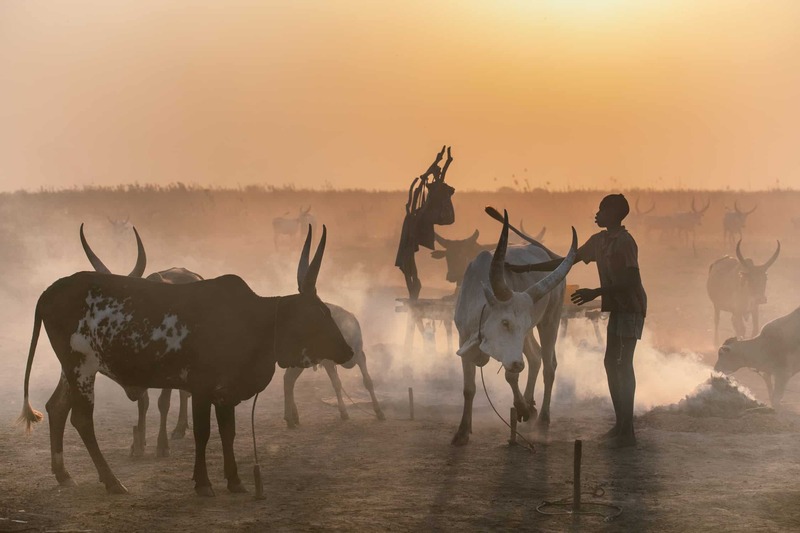 Dawn photos/videos of the cattle camp and how the Dinka wake up with their cattle. Breakfast. Visit to other adjacent cattle camps. Lunch. Visit to adjacent cattle camps. Evening photos/videos. Dinner. Accommodation: tents. Morning photos and videos. Breakfast. Departure by road to Juba with a stopover at a Dinka village of Bangachorot for a maximum of one hour. Packed lunch at Mangalla and continue on to check-in at Royal Palace Hotel. Dinner at Affex camp. Accommodation: Royal Palace Hotel. Breakfast. Morning sightseeing tour of Juba:- Presidential Palace, Dr. John Garang Mausoleum, Jubek tomb, craft market. (Cameras prohibited, smartphones to be used smartly). Lunch at Da Vinci Lodge. Transfer to the airport. Bidding each other goodbye. • Transfer to and from Juba International Airport at the start of the tour at the end of the tour. • The cost of the exploratory tour is $4000pp. To confirm the booking a deposit of $1000 is required.